These are the prettiest free minimalist fonts you will ever want to use in order to create super-clean, gorgeous designs! Whether you want to use them for prints or logos or want to add them to a website, these minimalist fonts are very versatile and can be used in pretty much any kind of design. The trend of minimal design is here to stay, which is why minimalist fonts are so popular among designers. With the overwhelming use of mobile devices, and the increasing emphasis of search engines on website speed and usable, users are now looking for designs that are easy to use, without any over the top effects or graphics. The 25 free minimalist fonts showcased here on this list include both free serif fonts and free sans serif fonts. They have clean shapes, unique details and will make your designs pop out if you decide to use them! You can download any of these great minimalist fonts for free – just a couple of clicks and you can have them in your free fonts collection! Here they are! Let us know in the comment section below, which one of these beautiful free minimalist fonts would you like to download and use. Fans of clean design will want to have this font in their collection. 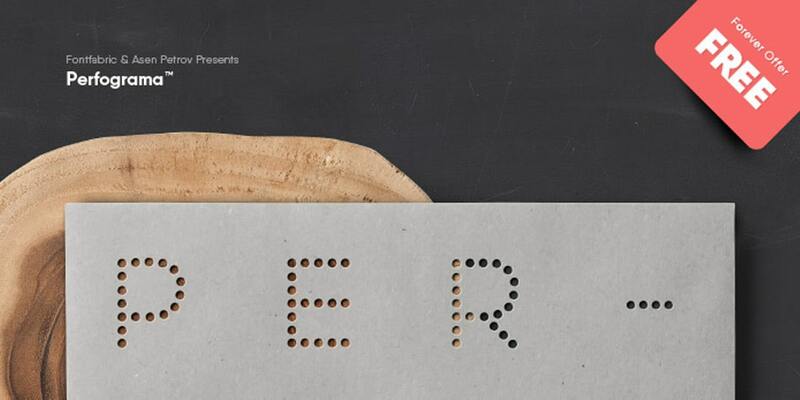 Museo Sans is perfect for this trend and it will help you achieve compelling results. The BW Quinta Pro light comes in 5 weights that with matching italics and it will make you want to use this font in every project from now on! 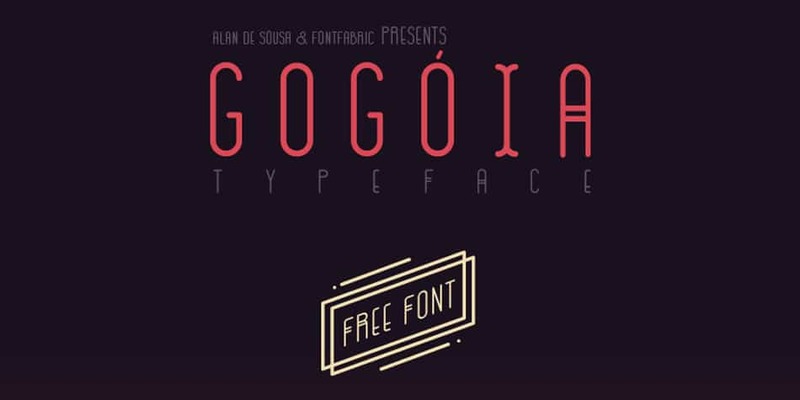 Gogoia is a really nice typeface that uses some really nice kerning in its design. The lettering is clean and looks good on all sorts of projects. 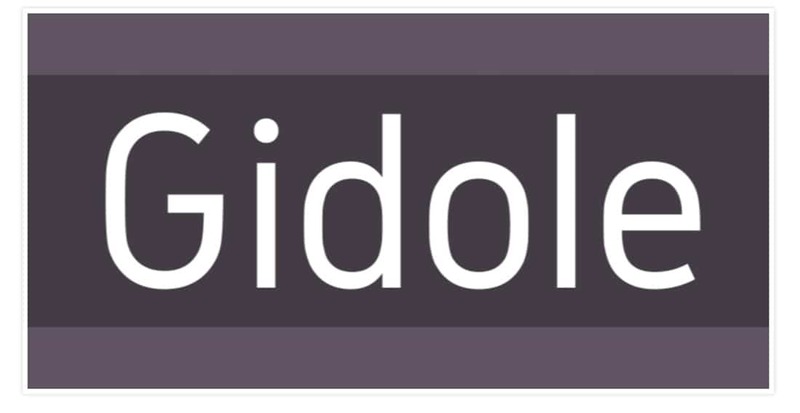 Gidole might become your next go-to font. Thanks to its simple and minimalist lettering design, this font will look great in all your creative projects so make sure to download it and add it to your collection. Perfograma will make your designs look great. This font’s letters are made out of cut out dots. You can use this one on different texture overlays. 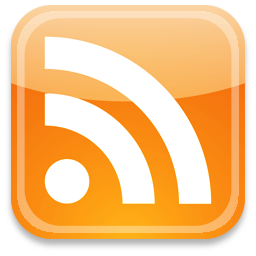 Blogger Sans, as its name suggests, would look great as a blog’s typeface, especially if it has a minimalist design. Uni Sans can be used in web projects as huge typography, it can be used on posters, logo and much more so make sure to immediately add it to your arsenal. Capsuula is yet another awesome minimalist font for your collection. This one was created by Henrich Fichna and it has a unique and clean lettering design. This free font has some really unique details which make it elegant and perfect for fashion or luxury websites or designs. 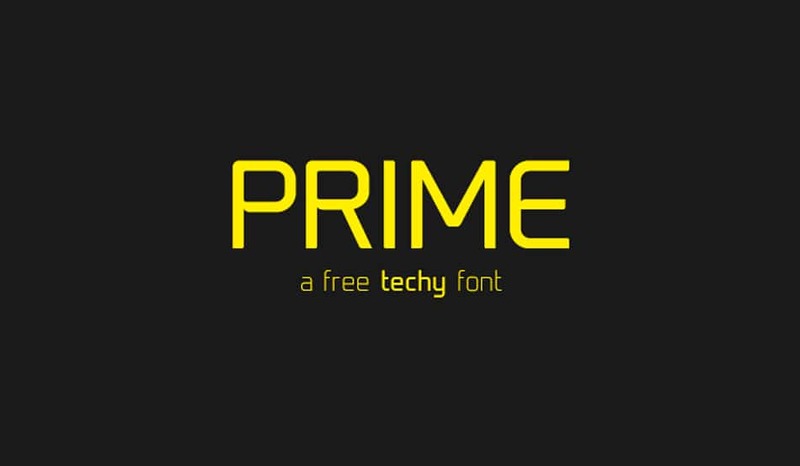 Prime is a techy font that will make you fall in love with it at first sight. This example looks great on logos and not only! It can be used with confidence to achieve compelling results. The Kelson font looks great in all its weights so it really can’t miss from your collection. Try each weight out and see which one is your favorite. Hero is also nice. The lettering is clean and does wonders if it is used in minimalist design projects but not only. You can try it in different web projects for example. It will surely look great as huge typography in the header. 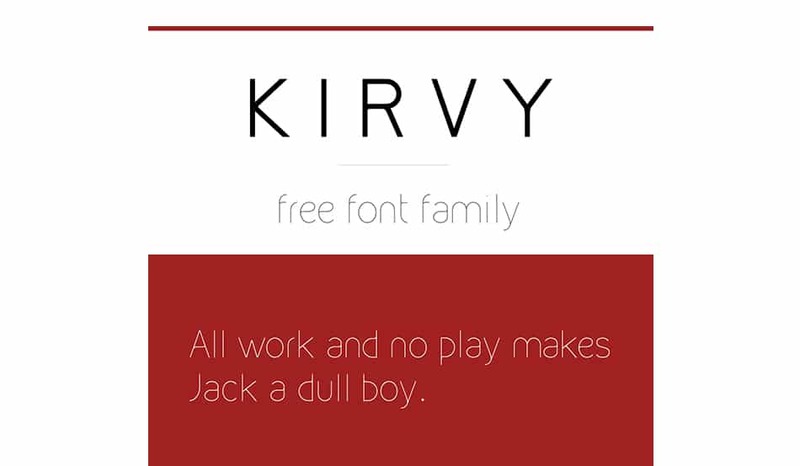 Kirvy is a promising font family and it is completely free. 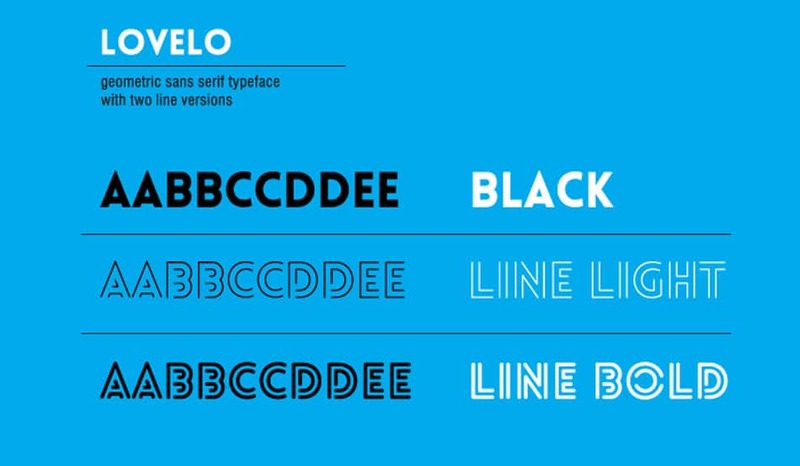 This font proposes simple and clean lettering design that can be integrated into all sorts of projects. 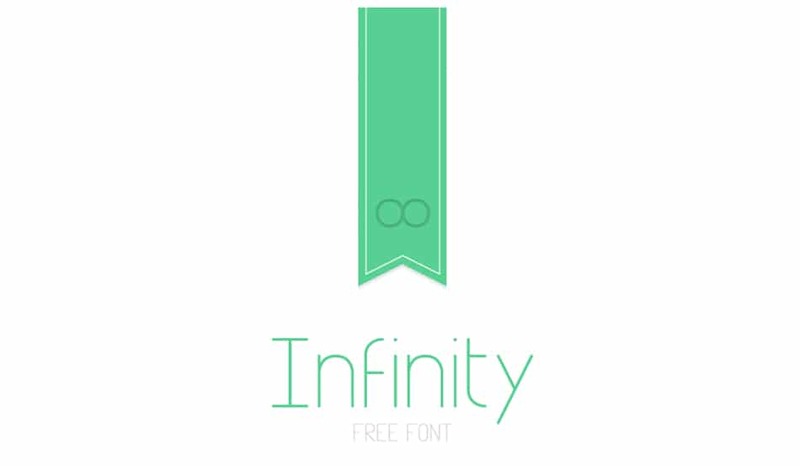 Infinity has a unique lettering design that will make your design improve rapidly. This is a really cool free font. 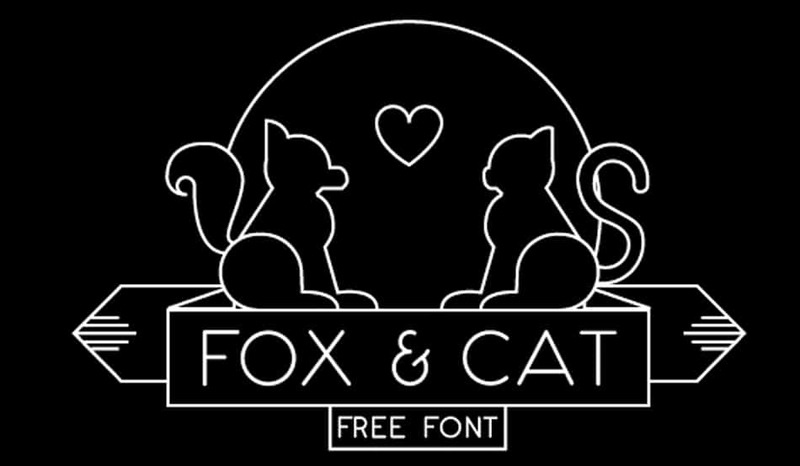 Fox & Cat looks great on logos such as the one in the preview photo but not only! There are many ways in which you can integrate this example into your projects. NOOA is an elegant minimalist font that looks great if used in creative projects, especially as huge typography. This is an amazing free font, perfect for headlines. QG also has a unique lettering design. This is a contemporary font with beautiful details. It has a rounded design and it is best used for logos. Arca Majora is a clean and minimalist font that can be integrated into many types of creative projects. You can integrate it into web design, posters, and logo. 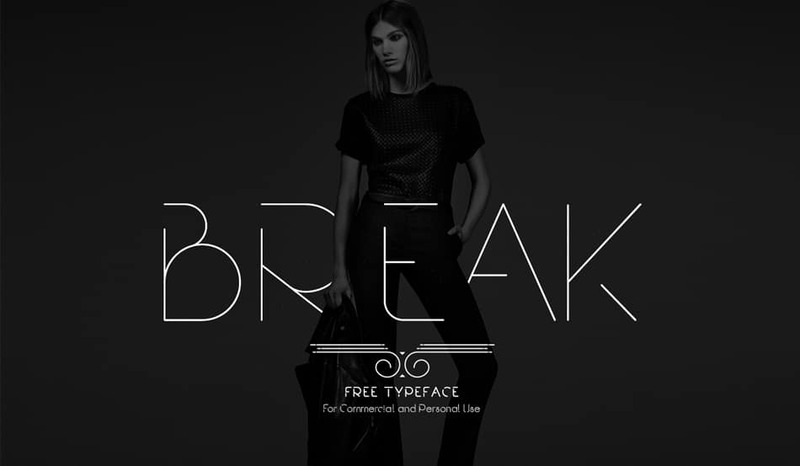 Break is yet another cool free typeface that has unique lettering design. You can use this one with confidence, it will surely improve the way your projects look. Ideal for creating logos! 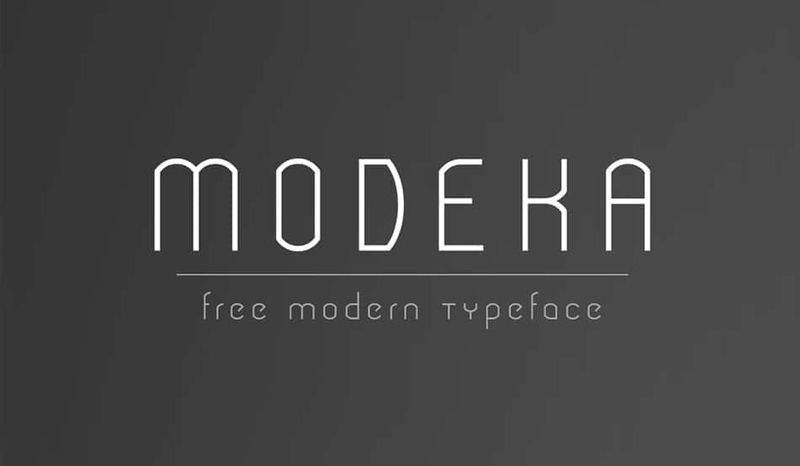 Modeka was created by Gatis Vilaks and its a really cool and free font. The letters were nicely crafted and would look great in your minimalist projects. Lovelo is a geometric typeface that represents exactly what your project was missing! This free font is applicable for any type of graphic design – web, print, motion graphics etc and perfect for t-shirts and other items like posters, logos. 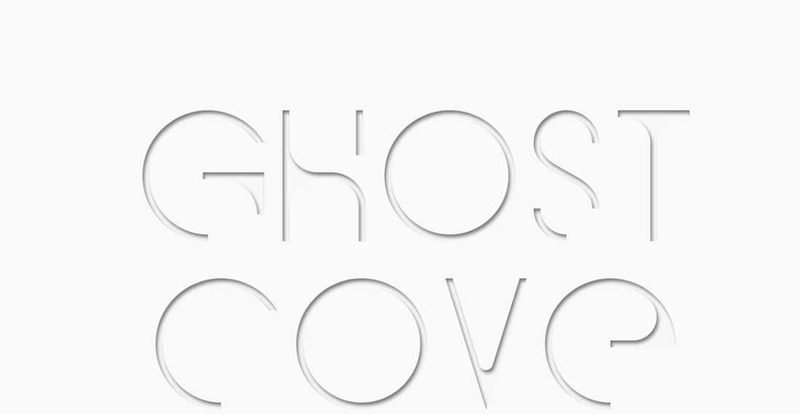 This is also a nice and minimalist font you will definitely want to add to your collection. It is free and it has a really cool lettering design. 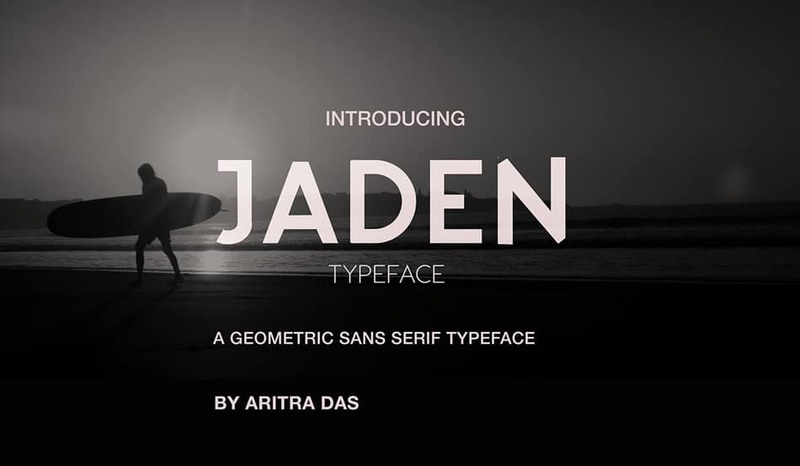 Jaden is a geometric sans serif typeface that might just be the font that was missing from your collection. This is a great font that aims to give a modern, clean and crisp look and feel. Bavro is a free font that would make your projects look more compelling in no time! Looks impeccable on headlines. Last but not least, Axis is an awesome font, created by Jean Wojciechowski. This example would be a great asset in your freebies arsenal and it would look great in your projects.